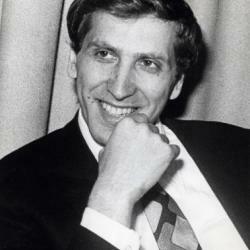 Bobby Fischer is the first and only American World Chess Champion in history. Many also consider him to be the greatest chess player of all time. Fischer sparked an entire generation of chess players, especially in the United States. His success against the Russian chess empire of the 1960’s and 70’s remains as one of the most incredible individual performances by any chess player ever. Bobby Fischer with Max Euwe in 1972. | © Dutch National Archive. Starting at age 14, Fischer played in eight United States Championships, winning each one by at least a one-point margin. At age 15, Fischer became both the youngest grandmaster ever (at that time) and the youngest candidate for the World Championship. At age 20, Fischer won the 1963–64 U.S. Championship with 11/11, the only perfect score in the history of the tournament. In 1970 Fischer won the Interzonal Tournament by a 3½-point margin and won 20 consecutive games, including two 6–0 sweeps in the Candidates Matches. In 1972, he captured the World Chess Championship from Boris Spassky in a match publicized as a Cold War confrontation which attracted more worldwide interest than any chess championship before or since. In 1975, Fischer did not defend his world champion title. Afterward, Fischer became a recluse, disappearing until 1992, when he won an unofficial rematch against Spassky. Fischer passed away on January 17, 2008.